Bonjour, I look forward to sharing my passion for the mountains with you! I have enjoyed teaching skiing to thousands of clients, from nervous beginners through to international ski racers. My teaching career spans 38 years from Scotland to Canada, Italy, France, New Zealand and now Switzerland. I have enjoyed the slopes of Villars since 2000 with its stunning views and varied terrain. My three children have all enjoyed learning to ski here. I also take part in ski touring, telemarking and cross-country skiing. 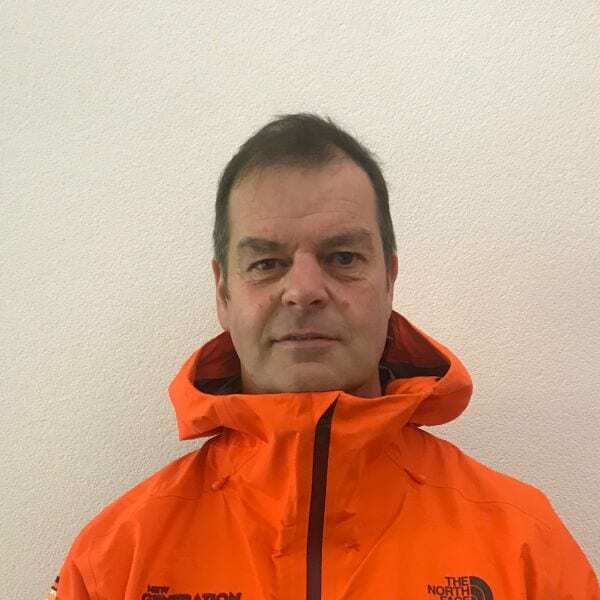 I am interested in mountain safety, specialising in avalanche awareness which led to work in ski patrolling and avalanche forecasting. I am qualified at BASI 3 (ISIA), Head Alpine Race Coach and fully qualified mountain instructor. Hopefully, meet you this winter? Let’s go skiing! Approach your skiing with a positive attitude, smile and have fun!